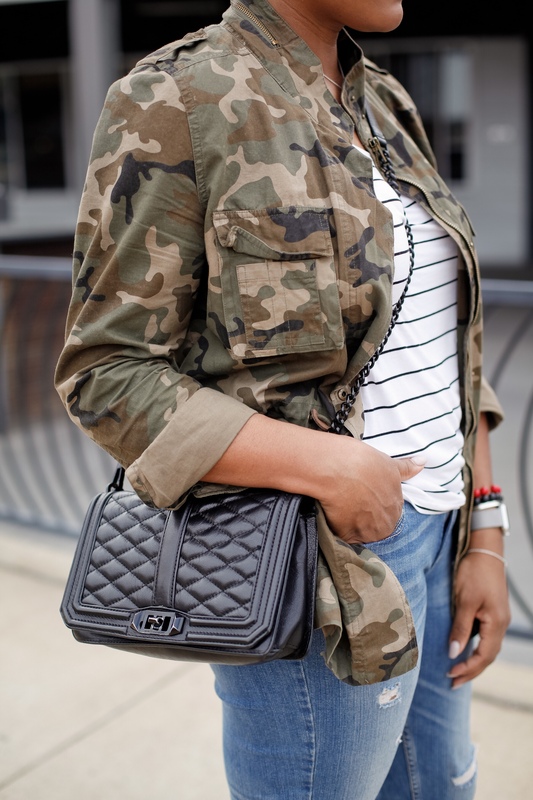 Camo has become one of my favorite prints. We can thank Jenna Lyons & J. Crew for that!! Before then, camo wasn’t anywhere on my radar or in my closet. It was always a guy thing. Now, I can’t get enough!!! I love the neutrality and versatility. It can be dressed up or down, and it’s also a great print to mix with. Such is the case with this outfit when I threw on this striped shirt, jeans, and slip ons. Black was the common denominator, so I thought why not add a little camo. When mixing prints, think more about color than pattern. As long as there is a common color somewhere, you’re in business! 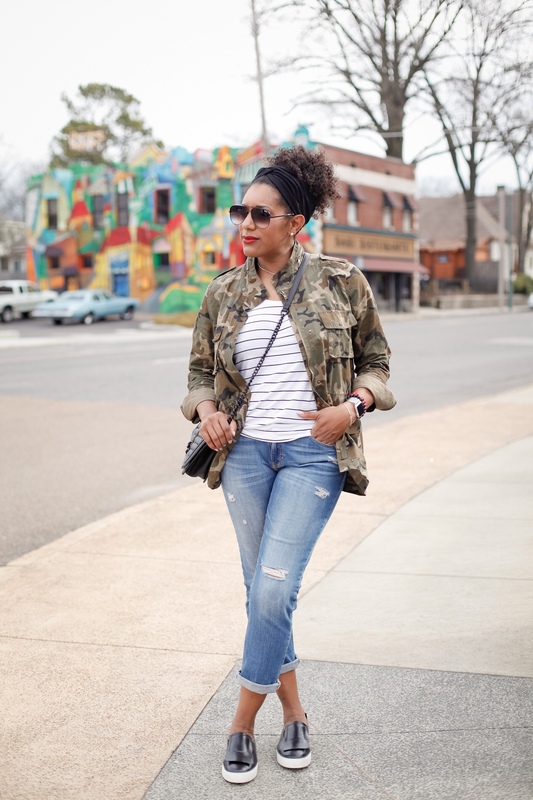 Other easy prints to mix: stripes + florals, stripes + leopard, dots + stripes. 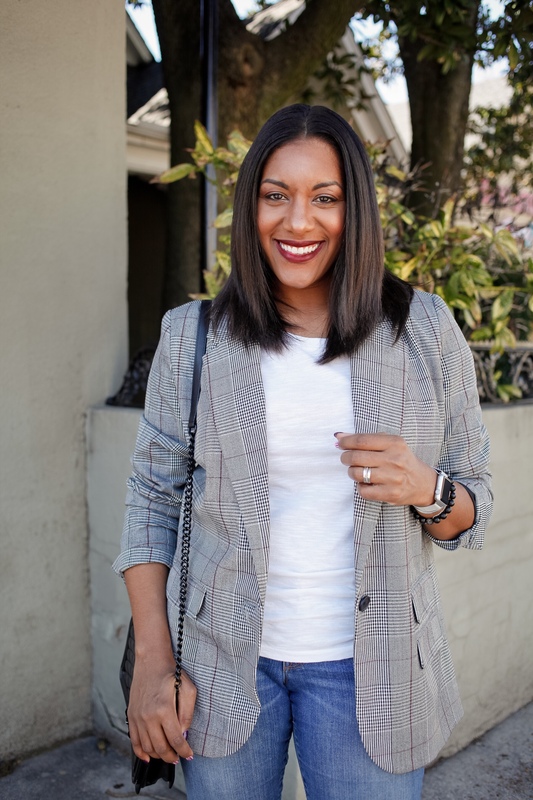 These are simple pairings that I’m sure are readily available in your closet. Play dress up one day and watch how easy it is. You, too, can have camo with a side of cool. According to Q, whether dressy or casual, mixing prints doesn’t have to be a task. 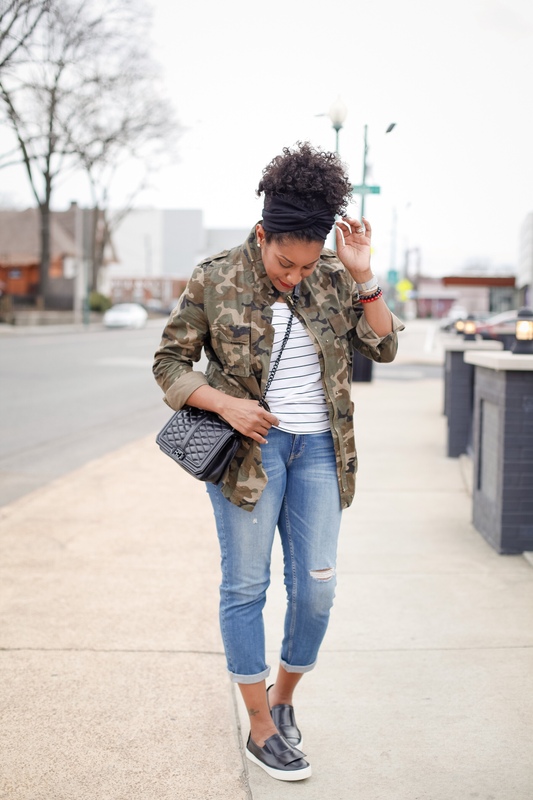 Camo and stripes is a great way to start getting casually mixed up! Start simple to build up your confidence and then just let it flow. Cheers to mixing it up and stepping out of our comfort zones! Yes! You can mix camouflage with nearly everything!